In Store: Print a manufacturer coupon good towards any Softsoap brand Liquid Hand Soap Pump (8 oz or larger) or Refill (28 oz or larger). In Store: Save $0.75 On any Softsoap brand Body Wash (15 oz or larger). valid at all grocery stores that carry their products. Online: See all Softsoap products that have clippable coupons and 15% off subscribe and save on Amazon. See their latest coupons and special offers. 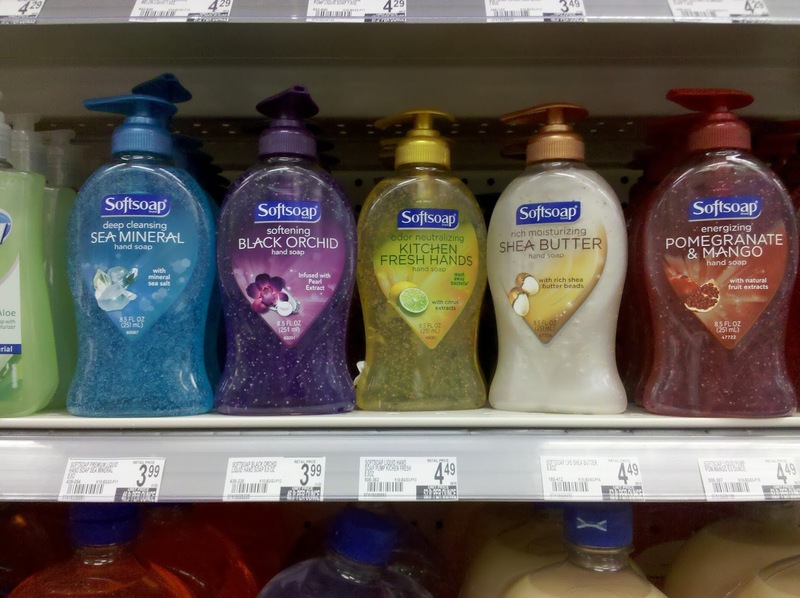 Print a $0.50 coupon for softsoap hand soap products straight from their site. Here is another softsoap coupon on the same page.. Coupon valid at rite Aid stores only. $2.00 Off Any Softsoap Liquid Hand Soap Refill 56oz or larger. Print coupon and save $1 With purchase of two 10-oz. Softsoap premium liquid hand soaps. Softsoap is one of the leading manufacturers nationwide for body wash moisturizers and liquid hand soaps. They also provide colorful characters soap bottles to help encourage hand washing for kids.